The patent battle between Apple and Samsung over their respective tablet products was won (at least for now) by Apple. On 13 October 2011, Bennett J of the Federal Court of Australia granted an injunction in favour of Apple concerning Samsung's Galaxy Tab 10.1 product. Once again the Federal Court of Australia has done a great job in providing a summary of the matter at the beginning of the judgment. An extract of the summary follows, which avoids the need for me to provide a summary of the decision! 1 In accordance with the practice of the Federal Court in some cases of public interest, importance or complexity, the following summary has been prepared to accompany the publication of the Court’s reasons for judgment. This summary is intended to assist in understanding the outcome of this proceeding and is by no means a complete statement of the conclusions reached by the Court. The only authoritative statement of the Court’s reasons is that contained in the published reasons for judgment which will be available on the internet at http://www.fedcourt.gov.au/ together with this summary. 2 The respondents (Samsung) intend to launch in Australia a version of a tablet device known as the Galaxy Tab 10.1 (the Australian Galaxy Tab 10.1). The applicants (Apple) have brought proceedings alleging that the Australian Galaxy Tab 10.1 infringes certain claims in 13 of Apple’s patents, will contravene certain provisions of the Australian Consumer Law and will involve passing off of Apple’s iPad 2. Samsung denies these allegations. It has filed a cross-claim seeking to revoke certain of the patent claims relied upon by Apple and alleging that Apple has infringed certain patents held by Samsung. 3 When the matter is heard on a final basis, the decision to grant or refuse to grant a permanent injunction restraining the sale of the Australian Galaxy Tab 10.1 will depend on a determination of Apple and Samsung’s competing claims. 4 Apple seeks an interlocutory injunction restraining Samsung from releasing the Australian Galaxy Tab 10.1 until Apple’s claims and Samsung’s cross-claim are heard on a final basis (the interim injunction). Samsung argues that the interim injunction should not be granted. 5 The primary issue with which this judgment is concerned is whether to grant the interim injunction. Both parties expressly asked me not to come to a final decision in this judgment, in part because of a desire to file further evidence. I have not done so. 6 As is commonly the case in applications for an interlocutory injunction, Apple did not seek to rely on all of the claims it has made against Samsung. This does not prejudice Apple’s right to rely on these claims at a final hearing. • Claims 1 and 55 of Australian Standard Patent No 2007286532, entitled “Touch screen device, method, and graphical user interface for determining commands by applying heuristics” (the Heuristics Patent). 8 As set out by the High Court in Australian Broadcasting Corporation v O’Neill (2006) 227 CLR 57, there are two main inquiries to undertake in determining whether to grant an interim injunction. 9 The first inquiry is whether Apple has made out a “prima facie case” in the sense that there is a probability that at a final hearing it will be entitled to relief. The requirement of a “prima facie case” does not require Apple to show that it is more probable than not that it will succeed at trial. Apple needs to show that it has a sufficient likelihood of success. 10 The second inquiry, often referred to as the “balance of convenience”, involves a consideration of whether the inconvenience or injury that Apple would be likely to suffer if an injunction were refused outweighs or is outweighed by the inconvenience or injury which Samsung will suffer if the injunction were granted. 11 The Court is required to determine whether to grant the interim injunction within this legal framework. 12 As to the “prima facie case” inquiry, Apple has explained why it contends that Samsung has infringed claims of each of the two patents. Samsung has explained why it denies that the invention of those claims is present in the Australian Galaxy Tab 10.1. It has also submitted that the claims of the Touch Screen Patent are revocable for want of novelty by reason of two prior publications, which is relevant to Apple’s “prima facie case” for infringement of that patent. 13 Despite the force of Samsung’s submissions, I have found that Apple has established a “prima facie case” for the infringement of claims of both the Touch Screen Patent and the Heuristics Patent within the O’Neill test. That is, it has established a probability, not necessarily in a mathematical sense, that it will, on the present evidence, succeed at trial. That evidence may be supplemented and further submissions advanced, which may explain why neither party asked me to determine the questions finally. • I have found that the detriment to Apple from a refusal to grant the interim injunction would be significant. So too would be the detriment to Samsung from a grant of the interim injunction. I have weighed this factor evenly. • I have found that damages would not be an adequate remedy for either party for the detriment that they will experience from an adverse outcome. I have weighed this factor evenly. • Given that both parties agree that the Australian Galaxy Tab 10.1 would, like other tablet devices, have a short life cycle, an adverse outcome for either party on the application for the interim injunction would be equivalent to denying that party some form of final relief to which it may be found, at the final hearing, to be entitled. In Apple’s case, I have found that, if I were to refuse the interim injunction but Apple were to prevail at a final hearing, by that time a final injunction would be of little practical effect to Apple as the Australian Galaxy Tab 10.1 would be likely to have been superseded by other Samsung products. This will effectively have deprived Apple of its statutory rights to prevent the exploitation of a product that infringes the claims of valid patents. In Samsung’s case, I have found that, if I were to grant the interim injunction but Samsung were to prevail at a final hearing, by that time the product would, as the evidence suggests, be “obsolete” and Samsung’s success in being able to sell the Australian Galaxy Tab 10.1 would be of little practical effect. However, I have found that Samsung’s unwillingness to be available for a limited early final hearing in November 2011 contributed to this factor. Accordingly, I have weighed this factor in Apple’s favour. • I have given no weight to Apple’s argument that I should preserve what it describes as the status quo in the Australian tablet market. • I have found that Samsung’s allegations of delay by Apple in commencing proceedings were not made out. I have given this factor no weight. • I have found that from 15 April 2011, when Apple commenced proceedings involving the Galaxy Tab 10.1 in the United States, Samsung proceeded with its “eyes wide open” in respect of the launch of the Australian Galaxy Tab 10.1. I have weighed this factor in favour of Apple, but I have given it slight weight. • I have found that the existence of a “prima facie case” in respect of two separate, registered patents strengthens Apple’s overall prima facie case for relief. I have weighed this factor in favour of Apple. 15 Although I have found that the “balance of convenience” was almost evenly weighted, there were several factors which favour Apple. Accordingly, I have concluded that the “balance of convenience” falls in Apple’s favour. 16 Overall, considering that Apple has established a “prima facie case” with respect to two separate patents and that the “balance of convenience” is marginally in its favour, I am satisfied that it is appropriate to grant the interim injunction. I propose, again, to give the parties the opportunity of an early final hearing this year on the issues presented in this application, without prejudice to their rights to a later final hearing on all other issues. The summary shows how close the balance of convenience argument was. At this stage it appears that Apple is going to have a merry Christmas. The Law Council of Australia has just released a handbook for case and hearing management in the Federal Court of Australia. The handbook is 79 pages and draws on the experience of the Law Council of Australia, senior practitioners and the judiciary to provide a user friendly guide to running cases in the Federal Jurisdiction. A link to the media release and the handbook is here. This Handbook is a very important development in the ongoing dialogue between the Federal Court of Australia and the legal profession who practise before it about how best to manage the cases which are commenced in the Court. The Federal Litigation Section of the Law Council of Australia and the members of that Section who gave so generously of their time to author the individual chapters which make up the Handbook are to be congratulated. 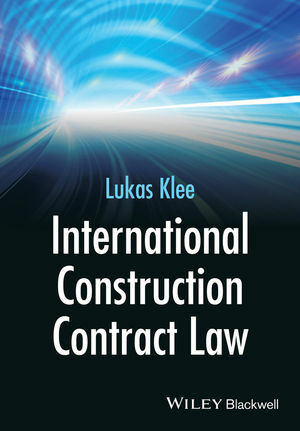 It is a first class product and contains a wealth of information, guidance, ideas and suggestion about the tools and techniques available for use in the Court. It garners the experience of judges and practitioners alike and provides a valuable insight to case management in litigation in the Federal Court. I commend the Handbook to all practitioners and encourage them to make full use of this outstanding resource. I suggest my readers download a copy and review it, as the handbook really is a great practical resource for any sort of litigation, particularly in the Federal Court of Australia. (1) If a court finds a person guilty of, or convicts a person of, an offence it may, on the application of a person suffering loss or destruction of, or damage to, property as a result of the offence, order the offender to pay any compensation for the loss, destruction or damage (not exceeding the value of the property lost, destroyed or damaged) that the court thinks fit. The matter of LSB v Werden  VSC 74 was an application by the LSB under s86 for compensation in respect of defalcations by a solicitor found guilty of theft and obtaining financial advantage by deception. The application was before Beach J in the Supreme Court of Victoria. The application for compensation was made at least 2.5 years after the finding of guilt, and the defendant submitted the LSB was out of time as an application must be made 'as soon as practicable after the offender is found guilty, or convicted, of the offence' (at s86(5)). The LSB justified its delay by saying that at the time of the finding of guilt, the defendant did not appear to have any assets, and it was the LSB's policy not to pursue compensation in those circumstances. The defendant succeeded in its submission that the LSB was out of time. Click 'read more' below for extracts and a discussion of the case. The matter of Australian Competition and Consumer Commission v Trading Post Australia Pty Ltd  FCA 1086 (ACCC v Trading Post) was a hearing before Nicholas J in the Federal Court of Australia in which the ACCC alleged that both Google and the Trading Post had engaged in misleading or deceptive conduct by advertising. The Federal Court has dismissed allegations by the Australian Competition and Consumer Commission that internet search engine Google engaged in practices likely to mislead consumers. The ACCC alleged that by failing to adequately distinguish advertisements from search results, Google had engaged in misleading or deceptive conduct. Justice Nicholas found that the use of the word “advertisement” or an abbreviation of that word, rather than “sponsored links”, might eliminate or reduce confusion in the minds of some users. However he held that the presentation of Google’s search results did not breach consumer law as most users would have appreciated that “sponsored links” were in fact advertisements. Since the ACCC instituted these proceedings, Google has changed the description of its advertisements on its search results pages from “Sponsored Links” to “Ads”. The ACCC was the first regulatory body to seek legal clarification of Google’s conduct from a trade practices perspective. However Google has been scrutinised over trademark use in the United States, France and Belgium. Google has also faced scrutiny overseas, particularly in the EU, in relation to competition issues concerning its search results business. 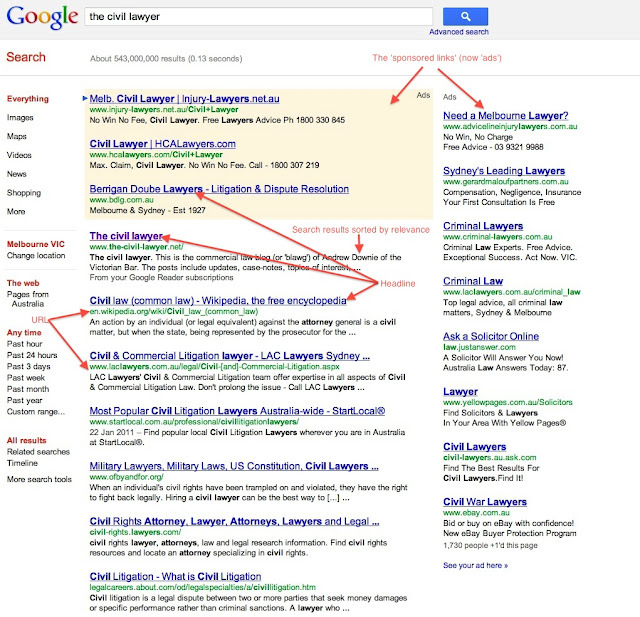 The ACCC also alleged, and Justice Nicholas found, that the publication of a number of advertisements on Google’s search results page in which the headline of the advertisement comprised the business name, product name or web address of a business not sponsored, affiliated or associated with the advertiser was misleading or deceptive. Trading Post, as responsible for some of the advertisements, was found to have made false or misleading representations and engaged in misleading or deceptive conduct. The ACCC alleged that as a result of Google’s significant input into advertisements which appear on its search results pages, it was not only the advertiser but also Google which made the representations found to have breached the Act. However, Justice Nicholas found that Google was “merely communicating” the representations without adopting or endorsing any of them. “This case is important in relation to clarifying advertising practices in the internet age,” ACCC Chairman Rod Sims said. The ACCC also notes that on the first day of the hearing, 8 March 2010, Google released a “Business Names Policy” which prohibited advertisers’ use of unrelated business names in the first line of ad text, when they are using that name to imply a special relationship with any unrelated third party. This policy was initially applied by Google in Australia and New Zealand only and was expanded to apply to all countries in mid-July 2010. I have included below a sample page of a Google search to demonstrate what the Federal Court is referring to in its decision, together with explanatory arrows and titles. Thus, there are two parts to the ACCC’s case against Google. The first part of the case is concerned with the overall layout and appearance of the results page which, it is said, fails to distinguish sufficiently between organic search results and advertisements. 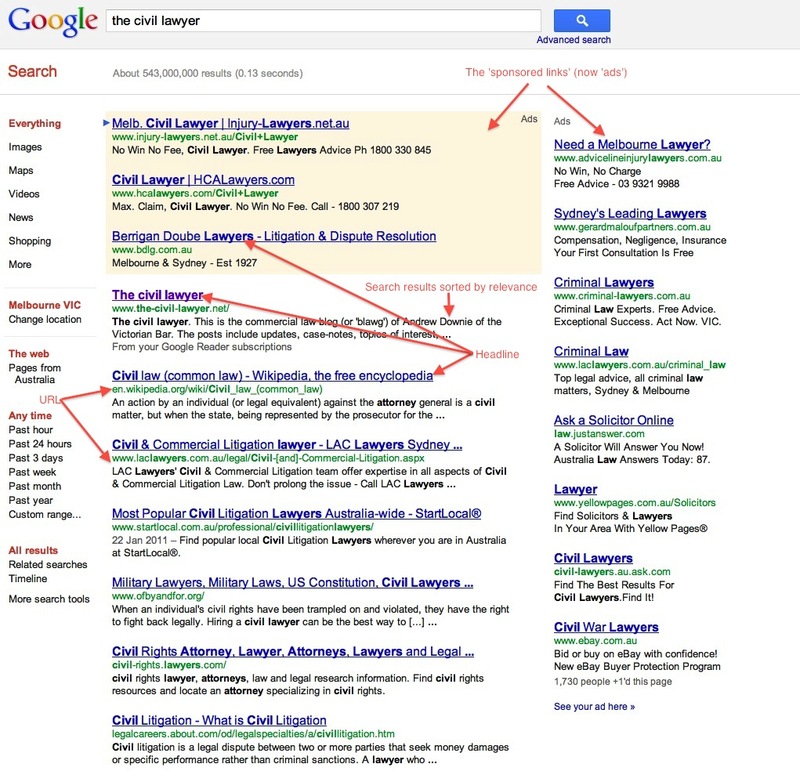 This part of the ACCC’s case extends to both advertisements which might appear on the left hand side of the results page immediately above the organic search results and to those advertisements which appear to their right, on the right hand side of the results page. The second part of the case is concerned with the use of what are said to be misleading keywords in the headlines of particular advertisements which may also appear on the left or right hand side of the results page. The second part of the ACCC’s case is based upon eleven distinct claims involving various advertisers and sponsored links which Google is alleged to have published on its results pages. In particular, it is the ACCC’s case that these sponsored links were misleading or deceptive or likely to mislead or deceive because in each instance they included a headline consisting of a trading name, a product name or a website address of the advertiser’s competitor but which also serves as a clickable link to the advertiser’s website. Sometimes the headline to an advertisement will consist of keywords selected by a user of the Google search engine that corresponds with keywords selected by the advertiser which may, according to the ACCC, also be a business or product name of the advertiser’s competitor. The ACCC alleges that when the user clicks on the headline consisting of such keywords, he or she is likely to be taken to a website that has no association with the keywords selected. The advertiser referred to is the Trading Post. One of the allegations made by the ACCC is that the Trading Post engaged in misleading or deceptive conduct by advertising its business on Google with a headline 'Kloster Ford', a competitor of the Trading Post. As to the first part of the ACCC’s case, Google simply says that there is nothing that is misleading or deceptive or likely to mislead or deceive in the way in which it presented advertisements on its results pages. It says that the expression “sponsored links” and the overall design and layout of its search page sufficiently distinguished such advertisements from organic search results. As to the second part of the ACCC’s case, Google raises various answers. First, Google says that to the extent that any of the twenty sponsored links that are the subject of the second part of the ACCC’s case might be found to convey a representation that is misleading or deceptive or likely to mislead or deceive then any such representation was made by the advertiser and not by Google. Secondly, Google says that it has not in any event been established that any of the twenty sponsored links the subject of the second part of the ACCC’s case conveyed any representation that was misleading or deceptive or likely to mislead or deceive. Thirdly, Google says that if it is established that Google has by publishing a particular advertisement made any representation that is misleading or deceptive or likely to mislead or deceive, then it has a defence under s 85(3)of the Act. It seems to me that the inference which ordinary and reasonable members of the class would draw from the appearance on the results page of the caption “sponsored links” when it is used to describe top left sponsored links is that the entries in the coloured box so described are links for which businesses seeking to promote their goods or services made payments to Google. They would therefore understand that these top left sponsored links are in the nature of advertisements. Similarly, in the case of the right side sponsored links, it seems to me that users would appreciate that they were also in the nature of advertisements. In particular, I do not accept the ACCC’s argument that the absence of the coloured background in the area of the results page where the right side sponsored links appear is likely to mislead or deceive users into thinking that the right side links are not advertisements. My own impression is that right side sponsored links are clearly distinguishable from the organic search results appearing to their left. In my view the representation conveyed by the use of the term “sponsored links” in the context in which it was used was that each of the links so described was a form of advertisement. Accordingly, I do not accept that users would have been likely to understand that sponsored links were the same as organic search results or that their position on the results page was determined by the same considerations that determined the position of organic search results. I do not intend to suggest by this that sponsored links are not “search results”. In one sense they are. What sponsored links will appear on a results page depends upon, among other things, the content of the search query. But I do not accept that in publishing “sponsored links” Google represented to users that they were organic search results, that they were the same as organic search results or that their appearance on the page was determined by the same considerations that determine when and where results which were not identified as sponsored links appeared on the page. The Trading Post was found to have engaged in misleading or deceptive conduct by representing an association between it and Kloster Ford which did not exist (at  and ) and by representing that information relating to Kloster Ford could be found at the Trading Post Website (at  and ). Once it is accepted that the ordinary and reasonable members of the class would have understood, as was the fact, that the Kloster Ford advertisement and the Charlestown Toyota advertisement were advertisements, then it seems to me to follow that they would be most unlikely to have understood that any information conveyed by those advertisements was endorsed or adopted by Google. They would have understood that the message conveyed was a message from the advertiser which Google was passing on for what it was worth. I am satisfied that there should be a declaration that Trading Post contravened s 52(1) of the Act by, in trade or commence, engaging in conduct that was misleading or deceptive or likely to mislead or deceive by publishing the Kloster Ford advertisement. This is on the basis that by publishing the Kloster Ford advertisement Trading Post made various representations which were misleading or deceptive, or likely to mislead or deceive, in the respects that I have identified. I am also satisfied that Trading Post contravened s 53(d) of the Act by representing, contrary to the fact, that it had an affiliation with Kloster Ford. I will make declarations to that effect in appropriate terms. The case brought against Trading Post based upon its publication of the Charlestown Toyota advertisement has failed due to the evidentiary deficiencies that I have previously identified. I am not satisfied that Google contravened s 52 of the Act by failing to sufficiently distinguish advertisements (sponsored links) from organic search results on its search results pages. Nor am I satisfied that Google contravened s 52 of the Act by making any of the representations that the ACCC alleged Google made by the publication of the Kloster Ford advertisement, the Charlestown Toyota advertisement or any of the other advertisements about which the ACCC complained in this proceeding. The result in ACCC v Trading Post will come as some relief to Google, which is a company under a lot of pressure at the moment concerning its market power. However the case has shifted some of Google's behaviour. For instance Google has renamed 'sponsored links' to 'ads' on its search engine to more clearly distinguish what are search results and what are advertisements. On 3 October 2011 the class action initiated by Maurice Blackburn against ANZ commenced at trial in the Federal Court. The trial has been split into stages, the first of which is to determine if the various fees charged by the ANZ are penal in nature. I wrote a blog article on this proceeding awhile back over an issue concerning an expert report: the ANZ was seeking time to file and serve an expert report explaining how the fees are calculated, and the court was critical of this because of the delay. The applicants suggested that the fact that a forensic report was needed to explain the fees suggested the fees had no basis and were arbitrary. THE first stage of Australia's biggest class action has begun in the Federal Court with lawyers representing 34,000 ANZ customers arguing that certain fees charged by the bank amounted to an improper imposition of a penalty. There is a way to go before any of those customers learn if they can get compensation from the bank since each stage of the class action is likely to run to appeal. This week the court is considering if fees levied by the bank were, as the customers argue, penalties - and not, as the bank says, a service charge for applying its discretion about extending credit or honouring overdrawn accounts. Lawyers for the ANZ customers told the court yesterday the bank appeared to have developed ''a nice little earner'' in levying fees against overdrawn accounts. Counsel for the customers, Justin Gleeson, SC, traversed more than 700 years of legal history as he argued the law on penalties and contracts, at least as far as Australia is concerned, is not entirely settled. Over five hours, the court heard about penal bonds in the 14th century, a dispute between two English fishmongers in 1670 after one disparaged the other's fish, developments after the passing of the 1875 Judicature Act, and was treated to some lines from The Merchant of Venice. It also heard about 17 specific instances between 2004 and 2010 when ANZ charged ''honour'' or ''dishonour'' fees for overdrawing cheques or credit accounts, for late payments on credit cards and for exceeding specified limits on credit cards. The 17 instances are being used as quasi test cases as the court determines if the fees were in fact penalties. Outside the court, lawyer Andrew Watson of class action specialists Maurice Blackburn Lawyers, said the history of the law in this area demonstrated that ''a penalty provision will not be enforced by the courts''. He said while the law indicated it was entirely appropriate in a breach of contract for an aggrieved party to recoup damages, the fees charged by the bank did not represent a genuine estimate of the loss or damage caused.